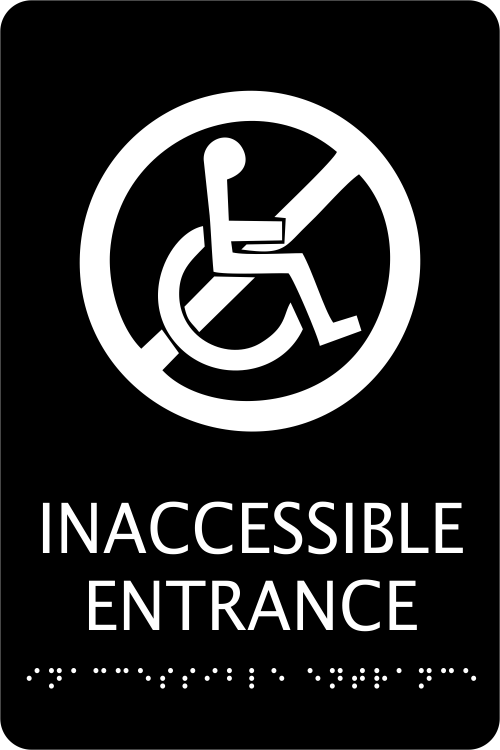 Let's face it, not all entrances are handicap accessible, however they still need to be labeled. Handicap Van Accessible Aluminum Sign | 18" x 12"
Choose your custom colors using "substrate" for the main background color and "appliqué" for the text and graphics. Several combinations to choose from. Made in the USA.